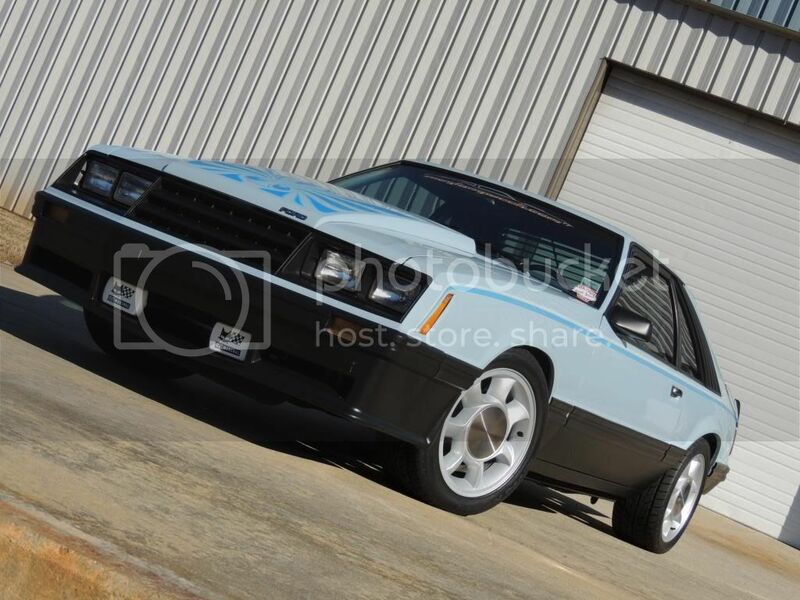 Congratulations to Mike Clay (FEP Username: SNKCHMR) and his 1980 Mustang Cobra as the winner of the May Ride of the Month. Mike’s story with this Mustang began about 3 years ago. He had been searching for that perfect 1982 Mustang GT when his buddy Aaron Stiles found the Cobra in Utah. The Cobra had been parked for almost 20 years when Mike purchased it and shipped it out to Virginia. The Cobra was originally equipped with the 2.3 Turbo engine and the 4 speed and only showed 80,000 miles on the odometer. The car was in good shape overall with only a small amount of body damage on the passenger quarter. Once the Cobra made the trip to Virginia, the modifications and repairs began immediately. Mike’s dream was to build the Cobra into a fun dependable driver. He started by ordering a nice rebuilt 302 with a set of GT40 heads from MPS Auto Salvage to replace the 2.3 Turbo. Next was a T-5 transmission to replace the 4 speed. 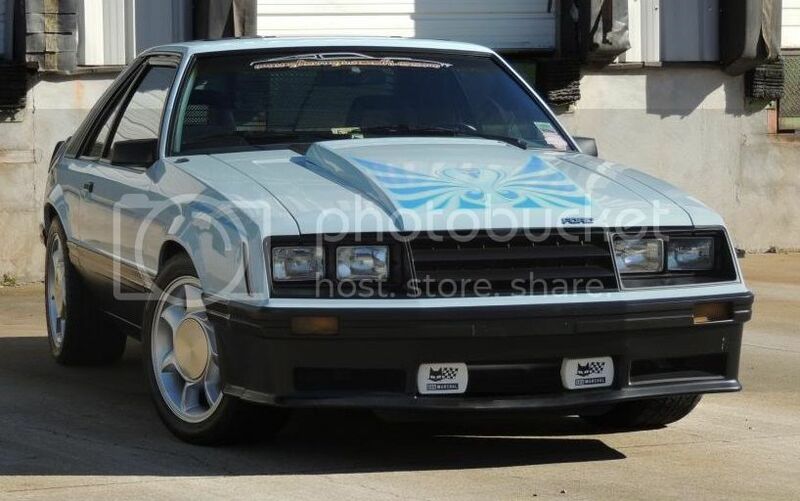 While he was at it Mike also sourced an 8.8 rear end, 87+ V8 spindles and brakes. Once Mike received all the major parts the tear down and rebuilding process began. The 302 and T-5 were installed in place of the 2.3/4 speed combo. To add some performance and excitement under the hood, Mike add a 4 barrel Edelbrock intake, a detailed Holley carburetor, a Ford Motorsports chrome air cleaner, a pair of Ford Racing Aluminum Valve Covers, and Ford Racing Blue Plug Wires. A new SVE aluminum radiator keeps all those ponies under the hood cool. The exhaust of the new 302 travels through a pair of BBK ceramic coated shorty headers that attach to a BBK 2.5” H pipe and finally out the back thru the rumble of a Flowmaster Force 2 LX exhaust system. The interior of the Cobra was in very good condition to begin with, but Mike knew he wanted to do something different and special to set his ride apart. Mike needed to replace the dash hull and thanks to Out to Pasture Pony Parts he was able to. He began by stripping out the interior to POR 15 the floor pans before installing Hushmat from front to back. To really add something to the interior, Mike swapped out the stock seats for a set of SVO style buckets in matching blue leather from TMI Upholstery. Then to add that final detail he installed a set of 83 Mesh Halos dyed to match the blue interior. The suspension received its fair share of attention as well. This included upgrading the brake to 4 wheel disc and 87-93 V8 spindles and brakes up front. A full set of KYB Gas Adjust struts and shocks round out each corner of the Cobra. A Maximum Motorsports strut tower brace in the engine bay stiffens up the front suspension while SVE upper and lower control arms in the rear hold all the power in check. Eibach Pro-Kit lowering springs give the Cobra that just right ride height. All of these new suspension pieces roll on a set of 1993 Cobra 17” wheels and Nitto Tires. The exterior of the Cobra was treated to some minor body repairs before being repainted in the original blue with the tutone black on the lower body sides. To top off the new paint a new cobra decal was installed on the factory cowl hood scoop. Mike also had the back side of the rear spoiler painted black to really set this Cobra apart. The rear hatch wears an original set of factory Ford louvers which really gives the car that 1980’s vibe. Up front Mike installed a mint set of Marchal white fog lamp covers to help set off the fog lamps in the black front lower air dam. Although Mike hasn’t shown the car much except for the local Cruise In’s the Cobra has caught the attention of plenty of people thanks to being used by Mustang Driver & Late Model Restoration as a promotional car. The Cobra was also featured in the March/April issue of Mustang Driver. Mike admits this has been a long build to get the Cobra to its current condition. It should have been easier, but as with so many rebuilds/restorations there were more than expected issues along the way. Despite the headaches and issues, Mike was able to build a modified Cobra just as he would have liked to have done back in the 1990’s. Once again congratulations to Mike and his awesome 1980 Cobra. It is truly a spectacular looking car and a great showcase of what a few unique and custom modifications can do to an American Classic. Thanks to Mike for sharing the Cobra with FEP and we wish him many miles of fun with his Cobra in the coming years. Great write-up on a great car! seen this car at the Mustang 50th last year. beautiful car & was the only 79-81 Cobra there. trust me, I looked! How do I get my car to be nominated? Very cool car and one of my favorite Cobra color combos I have seen, gratz on the win and cool write up! Spectacular!!! Congrats on the win. You got my vote. Good work, nice and clean. " B E A U T I F U L"!! Beautiful & worthy ride! Congrat's!